Your Bucket List Buster travel show helps you make your bucket list dreams come true. 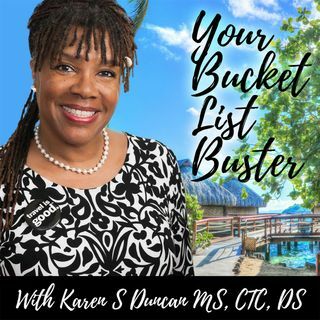 Host, Karen Duncan, spent decades running a travel business. She, along with other industry experts, share their knowledge, travel stories and wisdom about how to travel, where to travel and how to have a stress-free adventure. Tune in and give yourself permission to focus on yourself, create life-long memories with family and friends, and finally, learn to relax, rejuvenate and reconnect.